Tight End Jeremy Ruckert had the option of choosing Michigan, Wisconsin or Notre Dame, but instead he made Urban Meyer happy by choosing Ohio State. It was on the day that Meyer and his wife were going to celebrate their wedding anniversary that Ruckert called to make the commitment. Ruckert shared the information with the public on Monday afternoon. Jeremy Ruckert, a Lindenhurst High (NY) graduate, stands at 6-foot-5 1/2 and is 233 pounds. Meyers was trying to land this 5-star recruit for the last two seasons and had warmed up to Meyers family and girlfriend. Ruckert is considered as the number 11 overall prospect and the number 1 tight end. 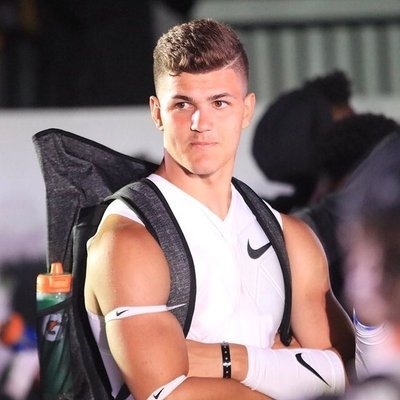 On Monday afternoon, Ruckert shared with the public that he was heading to Ohio State and that he hoped to make an impact there. He is considered an efficient tight end who is also a serious blocker and play-making receiver. Ruckert is Ohio State's number 15 commit, making Ohio State the number one recruiting class. Ruckert showed his excitement when he shared that the fan's energy at Ohio State is one of the country's best. He even shared that he would be going to Friday Night Lights during the upcoming weekend and that he was enthused to wear Scarlet and Gray. Ruckert is looking forward to joining the team and moving to Columbus because of their hospitality and homey feel. He said that he feels a sense of comfort when he is there.